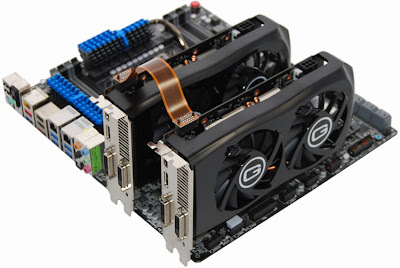 Ask Rohan #3 PC Configuration & Graphics Cards! Wow! 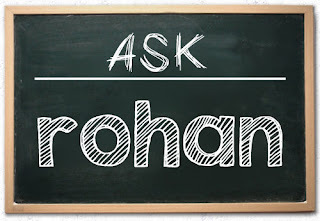 It's the third episode of Ask Rohan and in this post I am going to answer 3 questions posted in my Facebook Wall. Now, Ask Rohan is a series where I provide solutions to your tech related questions. I have noticed that you guys are just posting questions related to computers, I can also guide you through smartphones, audio accessories and much more. So, don't keep your questions limited to computers. To make this series even more fun, you can ask me personal questions (no! not about my girlfriend!! :P) as in what smartphone do I use - something in that direction. So let's begin! Question: Planning to build an assembled pc for gaming with limited budget. Have gone through your blogs, do let me know if the config is good for playing hi-end games i.e COD black ops, Crysis etc. Intel Core i3 – 3220 – 3.3 GHz; Asus P8B75-M LX; 4GB RAM; Sapphire hd 7770 1GB; 500GB Hard Drive; 500W power supply. Rohan Answers: Awesome! You are very smart Sameer and looking at your choice I guess you love computers. Your name reminds me of the hacker from Don 2! Let's get back to the question, everything is fine but I would like you to discard the chosen Graphics Card and go for NVIDIA GeForce GTX 650 Ti Boost. That will be a awesome GC. All the best! #Buy the NVIDIA GeForce GTX 650 Ti Boost from Flipkart(Ind) or Amazon. Question: I have assembled my home PC and having the below mentioned specifications. Sometime when I play cricket game on my PC it gets slow and shows ram temperature around 49 degree, is it ok? Processor: i5 3570 Motherboard : DH77KC Intel Ram : 8 GB Kingston PSU : Seasonic s12ii 520 Kindly suggest do i need the Graphic card and if i do need whether 1 GB card will be ok since my budget is under Rs. 10,000/- only. Rohan Answers: Hello Jitender Ji, The reason why your computer gets slow while playing games is because the integrated graphics on your system is unable to render all of the textures & graphics. As per the temperature of the RAM is concerned, there is nothing to worry about. 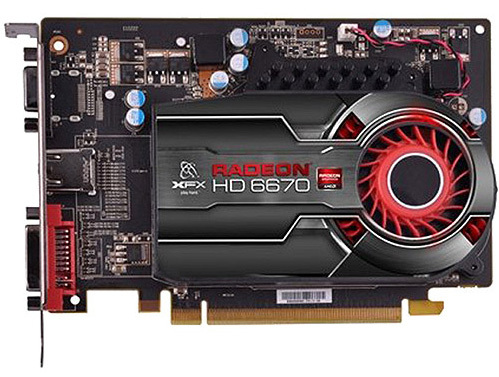 As per your requirement, I would suggest you to go for AMD/ATI Radeon HD 6670 1GB DDR5 Graphics Card. You can play most of the games in medium high settings. #Buy the AMD/ATI Radeon HD 6670 1GB DDR5 from Flipkart(Ind) or Amazon. Rohan Answers: Hi Touheed! By the choice of the parts of your computer, you seem to be having sound knowledge about computers, awesome! The Monitor which you have chosen is great and you don't need to change it. As far as the Graphics Card is concerned, you can go for the Sapphire AMD/ATI HD 7770 OC Edition 1 GB GDDR5 Graphics Card. That shall suffice your gaming needs. 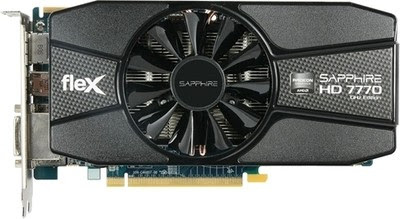 #Sapphire AMD/ATI HD 7770 OC Edition 1 GB GDDR5 from Flipkart(Ind) or Amazon. So this is all we have for this post. You can post your questions/queries at my Facebook Page. Alternatively you can also leave a comment below. As a rule of thumb, people who have liked my Facebook Page have better chances of getting their questions in the upcoming episodes. Please share this post on Facebook & Twitter to let your family & friends about this opportunity to get their tech questions answered in this forum. Thank you for the love & support! - Rohan Shankar @Absolute Blogger !